With our newly revised allowance structure, bespoke training courses and committed approach to our carers – we have the power to make a huge difference with every new applicant to join our growing team of foster carers: now is the time to foster with Bucks. To become a foster carer you need to have a spare room exclusively for the foster child; be over the age of 21; and passionately want to make a real difference in a vulnerable child’s life. We work with children from a variety o f backgrounds and of all ages. Right now, Buckinghamshire County Council has over 500 looked-after children in its care, but is only able to place half of these children within the local area – whilst some of these cases are an intentional relocation, many come down to the availability of carers. we need more people to help us look after them and every new foster carer makes a huge difference. If you want to find out more about what’s involved, sign up now to one of our Fostering Information Events. 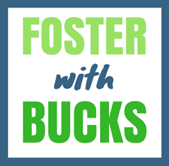 Our informal and welcoming information sessions are a great way to find out more about fostering with Bucks. Any questions you have will be answered directly by our experienced team of recruitment officers. You will hear first-hand accounts from our long-term foster carers and the children they have cared for. If you can’t make that date, take a look at our website where you can find details of other events taking place across the county throughout the year. Single, married, disabled, from any ethnic or religious background or the LGBT community… Foster Carers come from all sorts of backgrounds. The one thing they all have in common is that they like children and are truly committed to helping them have the start in life they deserve. If you think you’re up to the challenges associated with the rigours of parenting then please get in touch now to start your journey with us. Find out more about the different types of Fostering, the process or hear from Foster Carers.